Jeff has been and will be in a few intensive meetings this week - he originally thought about skipping the Weekly Treat Day, but I thought bringing in a plateful of cookies might be a nice way to lighten the mood. He agreed - I zeroed in on a recipe I've had marked ever since I picked up that snazzy cookbook I can't keep my nose out of. 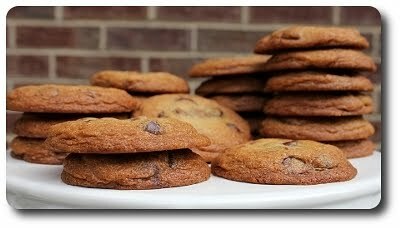 These Chocolate Chunk Cookies are basically a rift on the classic, well-known Toll House recipe, yet seemingly injected with steroids. When you have the buttery dough combined (if you have a scale, definitely haul it out for this recipe - I've included both gram and cup measurements), scoop the mass into a separate container or leave it right in the mixing bowl - cover, then as hard as this might be, stash it in the refrigerator and forget about it for a day. Believe me, I know wholeheartedly this is torturous, but trust me with the fact that you will be rewarded for your patience. Why is this really that important? 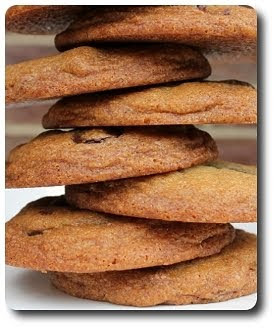 If you give the dough that aging time, the flour has time to absorb all the liquid-y properties from the butter and eggs, resulting in a well-textured cookie that has practically accelerated its own flavors into another level. Probably a little dramatic on my part, but I could taste the difference. 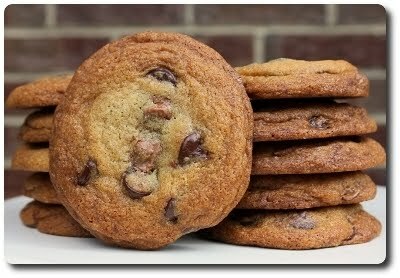 If you have a few exquisite bars of quality semi or bittersweet and milk chocolate that you've been wanting to use, break them out for these cookies. While I did use a bar of milk chocolate, I decided to use bittersweet chips only because I had a bag of excellent drops already in the pantry. I would suggest using a higher end brand that has at least 60% cocoa content to truly give these cookies that dark chocolate wallop they deserve. I didn't look for reviews of the cookie before I made the dough, but I noticed how it seemed almost too light and sticky once it was thoroughly mixed. I searched around and found that the author posted the same recipe here, but the measurements for the both flours were a bit different. They ended up being about 1/4 cup off, so I went ahead and stirred the extra in a couple hours after the dough had been chilling out in the refrigerator - the texture definitely seemed better. If you'd like to try and match the dough to exactly what is listed in the cookbook, bring the all-purpose flour down to 140 grams (about a cup) and the bread flour down to 150 grams (again, about one cup). Let me know how they turn out that way! Now, did this affect the cookie? I think so, but in the positive factor - they had some definite heft in the thickness department, but at the same time they were not too puffy or cake-y. The edges are crispy, while the centers stayed soft with a delightful sweet chew (thanks to the strong bread flour!). I think that if the extra flour would not have been added, the cookies may have spread into thinner, flat rounds - not what I had hoped for. I'm sure they still would have tasted wonderful, but texture can make all the difference! We've had some crazy weather out here - from cold snaps, to highs close to 90 and then there was that horrendous tornado outbreak last weekend. We didn't receive nearly as much damage as they did closer to the coast, but it was pretty gnarly here. The garden did have a little setback due to hail, but it looks like most of the plants survived and have started growing again. Since that seems to be tending to itself, I have some time to share a couple new recipes with you today that we've made over the past few weeks. The first recipe came about because Jeff spied a killer deal on a few pounds of pork (he's getting good at that!) from one of our favorite places to shop since we moved out here to Charlotte. I trimmed most of the cuts to store in the freezer, but saved out a few chops to make this Pork with Pomegranate Pan Sauce. 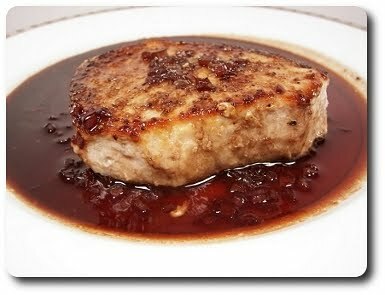 Quickly cooked chops, seasoned lightly with a modest rub of garlic powder, cumin, salt and fresh ground black pepper, gave us a base layer in the pan to create the sauce that made this dish. Finely chopped shallots groove in the stuck-on bits left behind in the pan, followed by a healthy splash of pomegranate juice and a scoop of granulated sugar. Also added is a tablespoon of dark balsamic vinegar, giving the sauce a tangy, bright bite. Not only does this finish in a flash, making for a swift weeknight dinner, it plates well and is quite elegant. The sauce is sweet, yet balanced by the sharpness from the shallots and a subtle snappy tartness that made it pop on the tongue. Do keep on eye on the chops - depending on the thickness, they can become over-done rather fast. If you are unsure, keep an instant read meat thermometer close by and pull the pork out of the pan when they reach 145 to 150 degrees - at this temperature, you'll keep the meat tender and juicy, while not having to worry about it being too underdone. The pork should retain an ever-so-slightly pink hue in the center when sliced into. 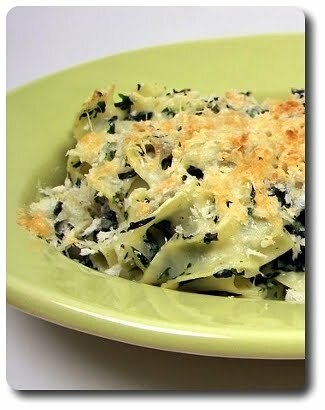 The other recipe we made in the past couple weeks was this hearty Spinach-and-Egg Noodle Casserole, which could be served either as a side, filled to the brim in a ravishing family-style baking dish, or as we did, in individual oven-safe crocs for a meatless main dish. I did modify the pasta amount from the original recipe - it called for a full pound of egg noodles, which sounded a bit heavy handed for the amount of sauce. Bumping it down to twelve ounces worked well for us, giving the curly noodles room to groove, yet not end up soupy. The sauce, made with milk and thickened with a pale roux (butter and flour, cooked just enough to remove any raw pastiness), is also given a boost in richness by whisking a bit of the hot mixture into a couple egg yolks. This brings the temperatures of the yolks up slowly, allowing you stir them back into the hot pot and keep that silky consistency, preventing a scrambled mess. 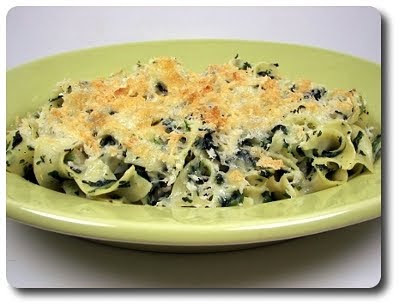 Already cooked spinach, onions and garlic, along with the al dente cooked pasta, are stirred into the warm sauce, then the whole shebang is portioned out into individual serving dishes. For a textural bite, the tops of each dish are sprinkled with a sharp concoction of panko breadcrumbs, nutty Gruyère and salty Parmigiano Reggiano cheese. The assembled dishes won't need to bake for long - just a quick trip under the broiler to turn that top golden, cheesy and crisp. As a meat-free main dish, Jeff and I were completely satisfied when we scraped the last bite out of our portions. Again, you could serve the pasta up in a large help-your-self casserole dish, but we also think you could finagle this into a slick side dish by throwing on a more personal spin. Simply divvy out the noodles between the wells of a 12 cup muffin tin and bake them off that way. You may want a bit more of the breadcrumb topping though, giving each portion a generous sprinkling as some may consider this the best part! There is a cookie recipe that we made way back in 2005, shortly after we started this website, that we have sent to friends and family, made for neighbors and prepared for a few bake sales over the years since then. What we haven't done was make them again for the Weekly Wednesday Treat Day! 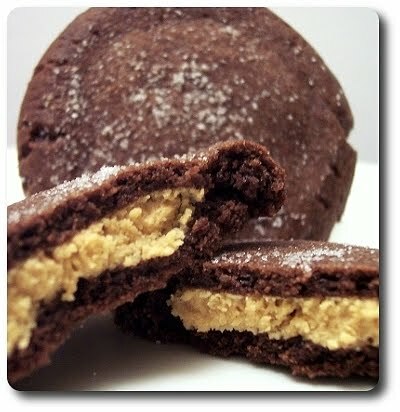 I was thinking about this the other day and mentioned those Peanut Butter Filled Chocolate Cookies to Jeff - he suggested that we skip a new recipe this week and get these into the oven as soon as possible. Because we both even liked the picture we took way back then, I gave the camera a break this week too! What I did do was tool around with the recipe we had posted - no differences in the ingredients really, but I wanted to update it to how I write out recipes now. I honestly don't have much else to say that I haven't already said when we first talked about these, other than these cookies are still just as exceptional as when we first tried them out - if you haven't made them yourself, what are you waiting for? I'm a sucker for hazelnuts - I'd keep them stocked in the pantry more often than I do, but I know I'd just eat them all before I got to use them in a recipe. A few recipes have been kickin' around my desk using the nuts for a couple weeks as they have been whispering my name when we travel down the nut isle in Trader Joe's. 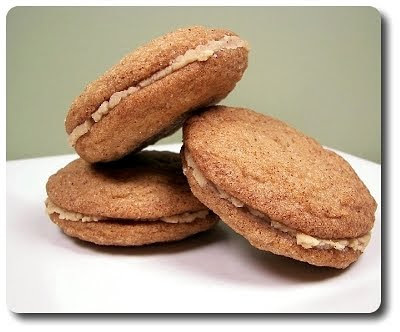 We finally nailed down what we were going to use them in - these extraordinarily-lengthy-titled Hazelnut-Cream-Stuffed Snickerdoodle Sandwich Cookies. The dough for these cinnamon-y (and, of course, I used fancy Vietnamese cinnamon - I find it has more muscle, mixes in well and has this dimensional sweetness that does a lingering dance on the tongue, rather than fading instantly away) cookies uses a pure butter base, a duo of sugars and a splash of vanilla to round out any rough edges. 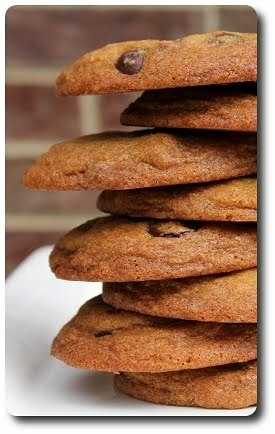 You won't need to chill the dough, we means you'll get cookies that much faster! While the original recipe called for making a whopping 6 sandwich cookies, we figured we could stretch the dough out a bit more and not be so overkill with the size - 24 cookies (making 12 sandwiches) felt much more sensible without compromising the end result. The dough is soft, but we were able to scoop and handle it without leaving our fingers covered in stickiness. Instead of rolling the balls to coat, just the tops of the dough balls are covered in a speckled blend of granulated sugar and more of that precious cinnamon. 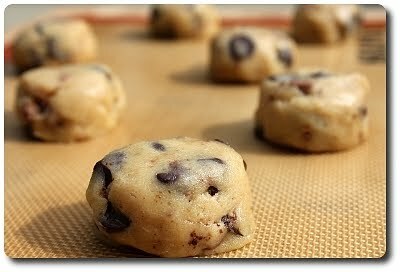 Once the cookies have baked and are cooling, don't hit the off button on the oven just yet. To make the filling, we scattered hazelnuts on a short baking sheet and roasted them until their brown jackets began to split and the nutmeat underneath began to shift from pale blonde to a toasty light golden brown. To get the skin off the nuts, as soon as you pull them out from the oven, scoop them out onto a clean kitchen towel, wrap them up and let them sit to steam for just a couple minutes. Then, vigorously rub them together (still in the towel, while they are warm) and most of their skins will fall off. Don't fret if they are not all pristinely clean - the bits that remain only add to the filling, whereas if all of the skin was left, their bitterness would be very present. You can save yourself a step by buying pre-skinned hazelnuts, but I'm rarely able to find them in the store and the extra expense isn't worth it. After coarsely grinding the cooled, naked hazelnuts, they are pepped up with confectioners' sugar, a couple tablespoons of butter and just a note of salt, then processed again to make a spreadable consistency. 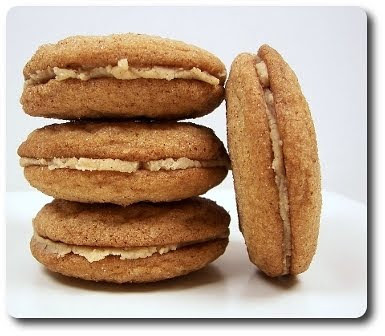 Now, I know why they would classify this as a snickerdoodle, but for me, I do feel a real (or maybe traditional is the word I should use) one has to have cream of tartar in it. Why? That's hard to pin down exactly - for me the texture is just slightly different enough to notice and the flavor seems more pronounced in the cookie. 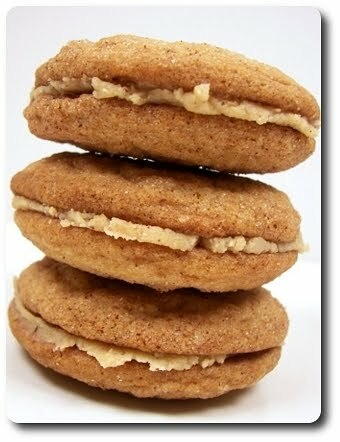 With that said, thankfully that's not enough to turn me off trying a cookie, especially these! I am glad we pared down the size some - I could have definitely eaten a giant one, but these spiced sandwiches turned into a decent sized snack that hit the spot, without leaving one feeling overly guilty. I do have a problem after all of this... I have plenty of hazelnuts leftover (which is good! ), but I better figure out soon how to use them before I waste them all by simply snacking on the groovy nuts! If you remember from back in 2007 (yikes...), we made these lemon biscotti that utilized a technique of using your hands to rub fresh citrus zest into the sugar called for in the recipe that I gleaned from one of Dorie Greenspan's cookbooks. Ever since then, any time a recipe calls for zest in a dough or batter, I instinctively do this extra step and am always fascinated by how intensely aromatic and moist the zest turns the sugar. 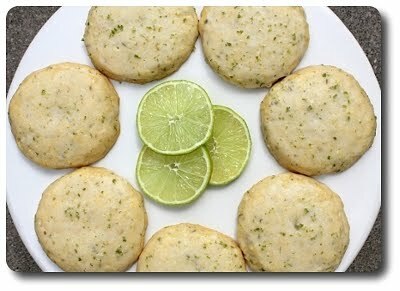 I used this method today, making these shiny Cornmeal-Lime Cookies for the Weekly Wednesday Treat Day. 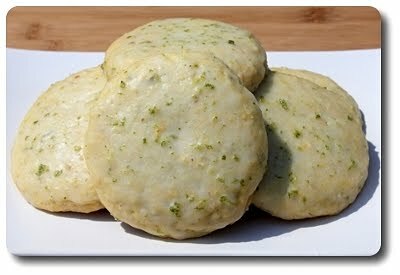 Besides the refreshing zing and lightness of lime, what makes these cookies special are the crunchy bits of coarse cornmeal in the dough - seek this out if you don't carry any in your pantry as you won't get the same unique bite using a fine grind of cornmeal. 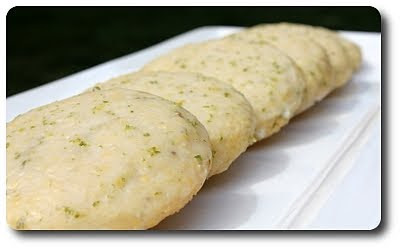 I found the combined dough to be soft, yet a bit tacky to the touch - meaning it would start to stick to your hands if you tried to roll the dough into balls, but it is still firm enough to hold its shape. 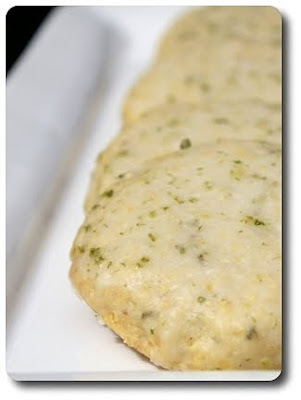 Once scooped out onto the baking sheets though, you will want to flatten each slightly - keep your fingers lightly moistened with water and the dough won't cling to you. 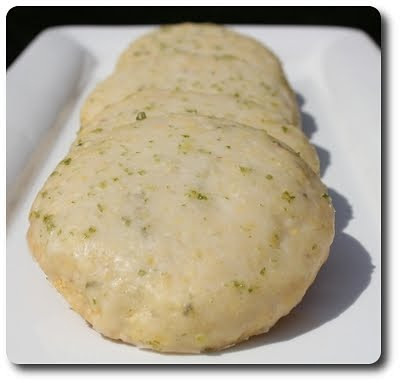 You can make these cookies bakery-sized by using scant 1/4 cup measurements for the dough (you will need to tack on a few extra minutes to the bake time), but we scaled them back to roughly 2 tablespoons for each. This ended up being a generously heaped tablespoon cookie scoops' worth, giving us 22 cookies instead of the 14 to 16 listed. 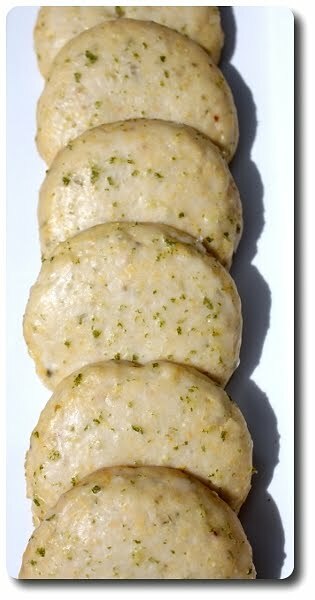 I recommend you keep an eagle eye on these cookies as they bake - you want the tops of them to remain pale, while the edges should have a light golden ring around the edges. 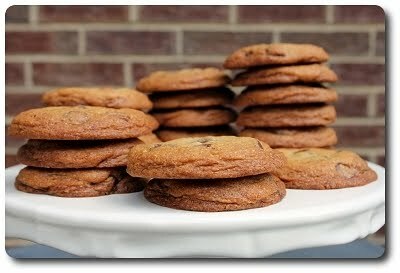 If they are taken much farther than that, the cookies won't have that soft, a-couple-steps-away-from-being-a-cake-like quality. I did let two cookies go for a few minutes extra for comparisons sake (curiosity got me!) and instead of being crispy, they just became drier and more crumbly. While the cookies have a solid hit of lime already, to punch up the pucker, each cookie is painted with a sweet, zest-studded opaque glaze made from confectioners' sugar thinned out with water, fresh lime juice and of course, more of that vibrant zest. You could dunk the tops of each cookie (not as easy since they are tender) or drizzle it over, but I agreed with the recipe directions by brushing the glaze on with a pastry brush. This gave me the control to make an even, thin coat without making a mess - I was left with this though. And trust me, none of it went to waste - a few swipes with a spoon (and right into my mouth!) made quick work of any leftover dribbles. We've made a ton of cookies for the Weekly Wednesday Treat Day lately, be it in the form of bars, rolled, sliced or drop. I actually had another already sitting on my desk when it dawned on me just how many we've made... I figured it was time to seek out another treat! 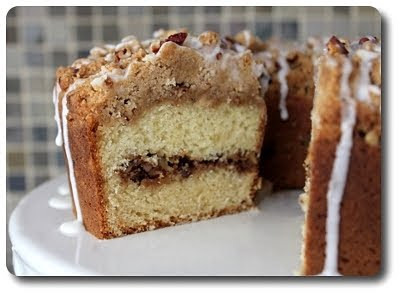 Luckily I had a pile of food magazines that have been neglected - when I got to the second one in, this Cinnamon-Streusel Coffee Cake danced off the page and bellowed to be made. It may look like there are a lot of steps and ingredients to this cake, but rest assured it just reads that way - I broke down the listed ingredients into their individual steps, rather than a more concise one that would end up having several ingredients that need to divided. This way, there is hopefully no confusion to what amount of every ingredient is going into each step. 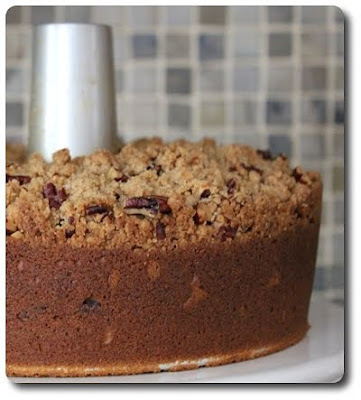 There are four parts to prepare this cake from start to finish - the cake batter, a cinnamon-laced, pecan-packed sugary filling, the slightly nutty, crumbly streusel topping and a slick glaze to run all over the top and sides. The streusel topping was on tap to accomplish first, which is just a mixture of flour, brown sugar, cinnamon, cubes of icy cold butter, salt and a handful of toasted chopped pecans. When you mix in the butter cubes, you can use a pastry blender if you like, but I used the best tools available - my fingers! All it takes is smashing the butter into the dry ingredients until the mixture begins to come together and forms hefty clumps - as soon as this happens, cover the bowl and keep it chilled until called for. The filling to this homey cake echos the streusel topping, but not completely - it takes out the flour and butter completely, then ups the ratio of those toasted pecans for a surprising crunch inside. After you've beaten the cake batter into a fluffy, voluptuous mixture, half is scooped and smeared into the bottom of a tube pan, followed by a sprinkling of the filling and the rest of the batter. 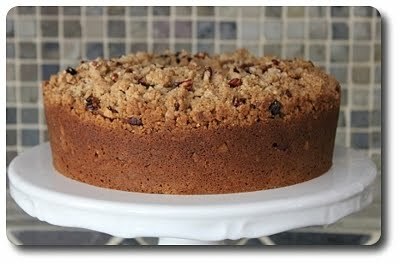 The generous, and I mean g-e-n-e-r-o-u-s, streusel crumbs are then scattered over the top and the cake is ready to bake. My tube pan is probably closer to 10" than 9", but it didn't seem to affect the result much, besides the cake being a touch shorter - it took roughly the same time listed in the recipe (about 55 minutes) for the tester to come out mostly clean with a couple moist crumbs clinging. 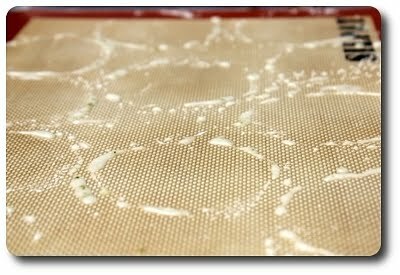 When it comes time to turn the cake out, it may be worth your while to affix a piece of plastic wrap or finagle a sheet of parchment paper around the tube and on top of the crumb mixture. Some of the crumbs will inevitably come loose during flipping and having a little protection over them never hurts - it would also be helpful to have another pair of hands for added insurance. Even if a few of the crumbs do come loose, it is not the end of the world - call them baker snacks, or just re-position them on the cake. 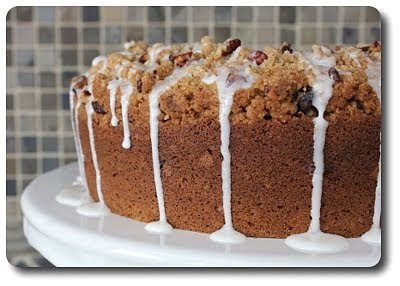 When you add the simple confectioners' sugar and milk drizzle over the top, it will cement all those nubbins together. I would have been completely pleased with a plate of those scandalous buttery nuggets that adorn the top of the cake (and we'll just forget that there is more butter in those nuggets than there is in the cake... oh snap! ), but getting through them and reaching the soft sour cream cake underneath was what really sold me. The sour cream doesn't lend much of a tang, but does wonders to keep the cake tender and light. 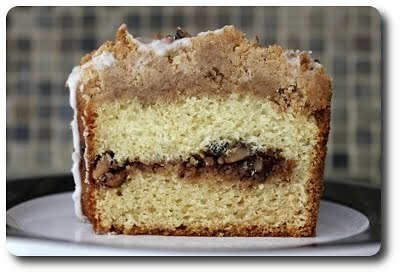 Jeff was taken by the thick line of brown sugar and crunchy pecans in the filling, scooping them out before he even bothered to get to the rest of his slice! Be sure to use your best cinnamon - I went with our favorite Vietnamese Extra Fancy Cinnamon, which gave the filling and crumbles a rich bite that flowed through into the plain cake with each forkful, without having any in the actual batter. We are definitely meat eaters around here, but I've noticed over the last few years we have cut down our consumption. Whereas we would serve meat probably four to six nights out of the week, lately it has been perhaps once or twice, with some weeks not having any at all! I can't say there has been any specific reason for the decline, other than we physically feel better when we don't eat as much. This does mean we have had to come up with dinners that had plenty of interesting textures and flavor to keep us entertained - like these Brown-Rice Veggie Burgers. 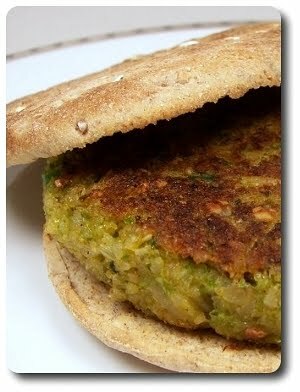 To make the patties for these veggie burgers, we used a packed cupful of cooked brown rice, which I made using our favorite no-fuss method. I didn't use a measured amount of dry rice to begin with as I always make extra and place the rest in the freezer for later use! Three quarters of that rice is tossed into a food processor, along with Monterey Jack cheese, a good dose of salt and a single chipotle pepper. Chipotle chiles are ripe, red jalapeños that have been smoked and in this case, packed in a vinegar-y adobo sauce. They are fairly potent, but if you'd like a milder, smoky heat, open up the soft pepper and scrape out the seeds first. Ground down to an almost pasty texture in the processor, next to add is a seeded and chopped poblano pepper, a couple scallions and a scoop of thawed frozen peas, along with roasted and salted pepitas. Pulsed just to incorporate and break down the newly added veggies, the mixture is then scraped out into a bowl, with the remaining cooked rice kneaded in for extra bite. Portioned into four hearty sections, each piece is firmly shaped into a thick patty - I did find the mixture fairly tacky, but if you keep your hands moistened with water, it won't be messy or sticky. Homemade veggie burgers can be somewhat notorious for falling apart, but I've found in the past that chilling the patties for about a half hour before cooking does wonders for keeping them solid. Even though the recipe didn't call for it, I went ahead and scheduled the extra downtime in for added insurance. With one side brushed with oil, the patties were added into a heated grill pan, oiled side down, and cooked until well toasted and a bit crusty. Before flipping, the uncooked side is quickly brushed with a dab more oil, then turned to cook just the same. Sadly, I didn't have any of our snazzy homemade burger buns in the freezer and I didn't think enough ahead to make any either, which meant we had to go with those fiber-packed sandwich thins we already had handy. Jeff wanted his plain, as in just the patty and bun, but definitely pack on any variety of toppings you see fit - think about lettuce leaves, thick tomato slices, salsa, sour cream or even thinly sliced avocado. 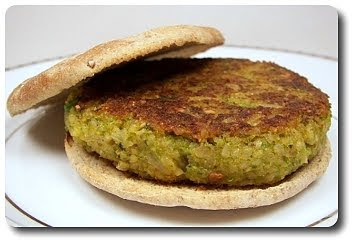 If you'd rather not use a burger bun, how about stuffing one of these thick patties into a warmed pita pocket instead?